CrossFit is a sport that is ‘constantly varied, using functional movements, at a high intensity.’ In other words, in CrossFit we don’t like routine, we use movements that we need in everyday life, and you will always feel like you gave it your all after a workout! 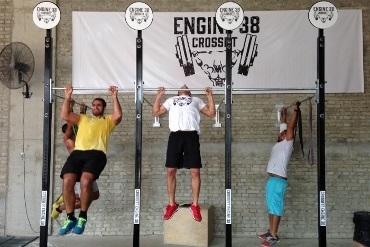 CrossFit prepares you for a better quality life using this methodology. It doesn’t matter what experience you have, or how old you are when you start CrossFit. All workouts are scalable making it a sport for anyone and everyone. It’s simple. Just show up! Look at the schedule and drop by any of our foundation classes . If you have any questions or concerns please contact us and we will help you get started! As a beginner you will be joining a beginner’s program that will ensure that all the fundamentals are covered and mastered. The trainers on site will explain that more in depth in person. 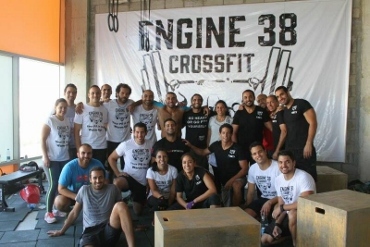 Copyright © 2019 CrossFit Engine38.